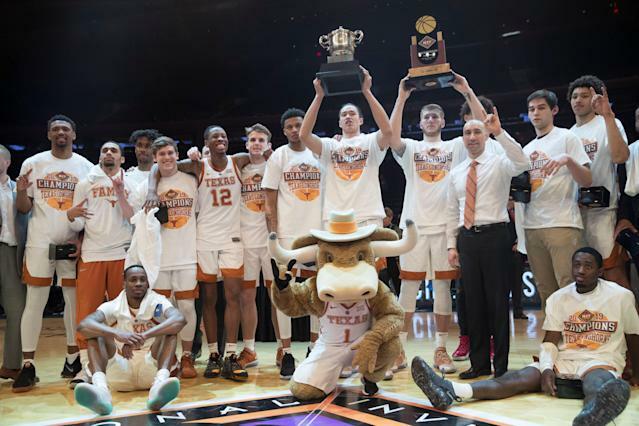 Texas claimed the NIT championship Thursday courtesy of an 81-66 win over Lipscomb. In doing so, the Longhorns got a bit ahead of themselves in celebrating. Yes, it’s nice to win a tournament of any kind, even if it’s among the the group of schools that didn’t get invited to the NCAA tournament. No, that doesn’t make the Longhorns national champions. 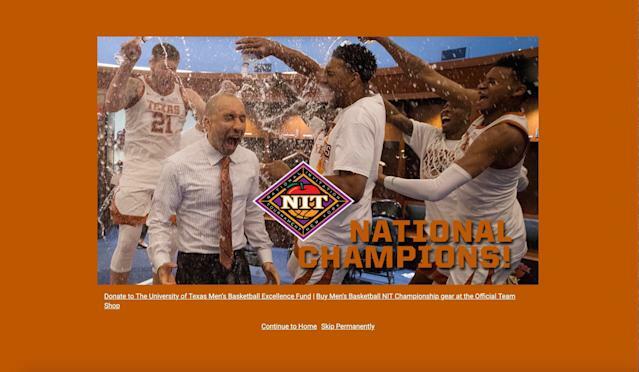 Texas boasted the NIT win on the school’s website with an image of players showering head coach Shaka Smart with water in the locker room. 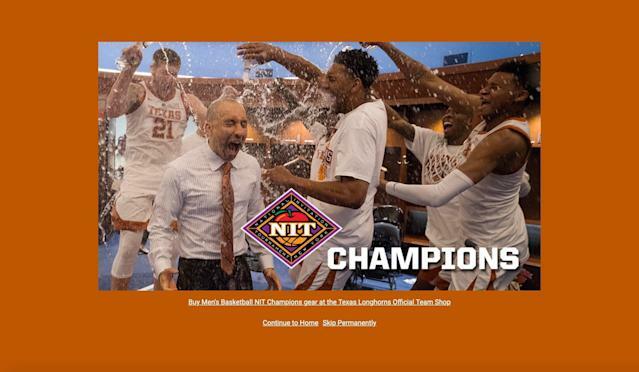 The photo was accompanied with a caption reading “National Champions!” in large burnt-orange font. Which is redundant at best. But come on, now. You can’t be throwing up the “National Champions!” brag for winning the NIT. The site’s editors apparently reached the same conclusion, tossing up a slightly altered, significantly less misleading celebration graphic later Thursday night. Congrats to the Longhorns on the win.